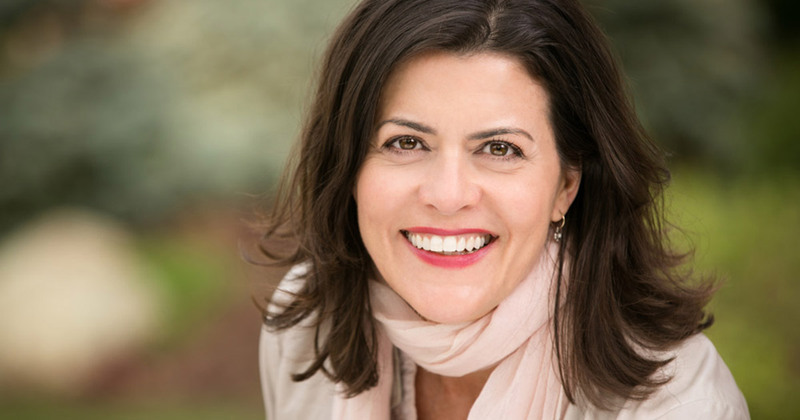 This is an interview with Trina Wyatt, founder of an online media streaming service called Conscious Good. When I first met Trina I told her that I felt overwhelmed by the billions of things I could watch or listen to on the Internet, much of it cluttered by advertisements I wasn’t interested in. Now that I’ve been introduced to Conscious Good, I have easy access to videos and podcasts that entertain, inspire, and inform my life. Rob: I’m interested in the background of your yoga service career. Could you share this with us? I’m a “Slow Growth” yogi: in my early 20s, over a period of years, well-meaning friends “dragged” me to their yoga classes. I found it pure torture and swore I would never go back. Later I noticed how healthy and happy yogis were, and I thought, “I probably hate yoga because my body so badly needs it.” That realization prompted me to give it another chance and, luckily, I found a wonderful teacher at my health club. Within a few months I was hooked and attending three classes a week. I’ve been practicing yoga regularly for over 20 years now. My early practice was mostly Ashtanga and Hatha, but while pregnant with my first child, I pulled a back muscle. I was living in Los Angeles at the time, and a friend suggested I attend Gurmukh’s prenatal Kundalini yoga class. Its benefits were huge for my daughter’s birth; however, it didn’t occur to me to continue with the practice. Then, about four years ago, I was struggling to do yoga or meditate regularly at all. Between two kids in private schools and other financial pressures, I took a job only for the salary, and I was miserable. My office at the time just happened to be near a Kundalini yoga studio called Golden Bridge. Though I hadn’t been attending class, the studio had a little café that I frequented for lunch. One day I noticed a five-day yoga and cleanse program and I signed up. Eventually I found a way, with my husband and children cheering me on, to take the full Kundalini teacher training. Part of the training required meditating for 11 minutes a day 40 days in a row. This was how I discovered the power of a daily practice to overcome unhealthy habits. Two months into the yoga teacher training program, I told my husband that I was going to leave my miserable job. I recall saying that I wasn’t going to be unhappy in a job ever again and that we may have to sell the house and move. Always the adventurer, he said, “Great! Where shall we go?” This is what prompted our move to Boulder, Colorado, and my eventually launching Conscious Good. One of the motivators in launching Conscious Good has been to use media and technology to help and support people in being the change they would like to see in the world. I’ve always loved going to the movies. While I was in high school my father sat me down one day and asked, “What do you think you’d like to do when you grow up?” I had just spent the summer working at a retail shop owned by two women, so I said, “I’d like to run my own business one day.” He encouraged me, and urged me to study accounting, because it’s important to know the numbers when running your own business. So I combined the two and pursued a career in finance in the motion picture industry. In 2003, after wrapping up the first Tribeca Film Festival and completing my MBA, I thought it was time to try something new. The only thing I could think of that I loved as much as film was yoga. Since then, I’ve tried many times to move my career toward combining the two—from collaborating to create content to advising organizations that are involved in conscious media. You could say that Conscious Good has been brewing for over 13 years. In my experience, adopting a daily practice—be it yoga, meditation, gratitude, or prayer—and supporting that practice throughout the day with thoughts, experiences, and media that support it, helps you be the change you want to see in the world. A daily practice has the power to replace unhealthy habits or addictions with healthy habits, and by putting kindness above personal gratification, we create a ripple effect through society, thus impacting greater social change. What do you think the role of brands plays in the shaping of the future of yoga? Can brands play a role in maintaining the integrity of the practice, and how are you contributing? People vote daily with their dollars, and technology is forcing more transparency in brands. More and more people are interested in where goods come from, how they’re made and their sustainability, and how the people making them are treated. Any brand in the yoga and mindfulness space will need transparency, integrity, and authenticity to thrive. I think true yoga and authenticity are synonymous. I am contributing to maintaining the integrity by continuing to walk the talk – practicing daily, encouraging my team to do the same, bringing mindfulness to staff meetings, and giving back to conscious causes. At least to start, our plan is to donate 10% of our net profits to non-profit organizations. Does yoga help your consumers address problems that afflict so many in society, such as body image, etc.? Yes. My belief is that practicing yoga with spiritual authenticity creates a union with the divine; and, as we are all divine, yoga deepens the connection with ourselves. Through practice we can develop a self-love that will help us embrace our body’s imperfections and heal ourselves. At Conscious Good, we intend to offer yoga practices for every age, every body type, and every level. We need more! My hope is that in 10 years more than 50% of the population is practicing some form of yoga and/or meditation. 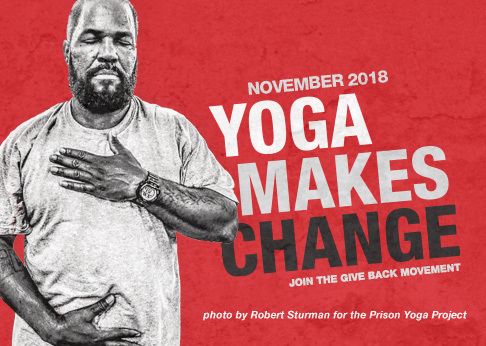 I hope that every person in the U.S. adopts a form of service to others – whether through yoga or other means, and realizes that being of service is a key component to health and happiness and to bringing about the greatest social change. *Psychology Today January 19, 2013.